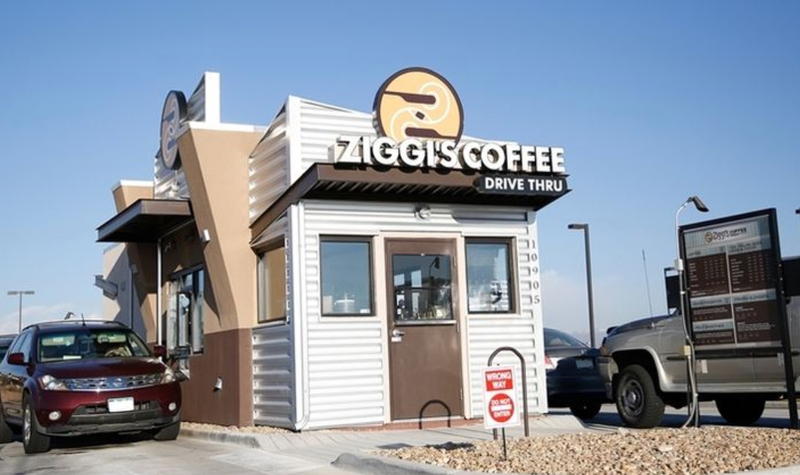 Outside of a few places in Colorado, you won’t find a Ziggi’s Coffee outlet. . .yet. But in the coming months, watch out. It’s always exciting to see a new business go big, but Ziggi’s isn’t actually new—it’s the rare breed that can combine the wisdom of experience with the dynamism of a new concept. Brandon and Camrin Knudsen opened their first Ziggi’s outlet back in 2004, then rolled out others, then began plans for franchising (and even that was five years ago). Like many good start ups Ziggi’s has an oddball backstory Back in 2002, new to Colorado from the Pacific Northwest, Mr. Knudsen worked in an ice cream plant, while his wife put in the hours in a coffee shop. They had always seen the potential in having their own coffee outlet, so they opened a sandwich shop with an espresso machine, which led to a coffee house named Gizzi’s. When that didn’t go as planned, the couple bought out their partner, saved money by rearranging the letters on the original sign, and launched a new brand. 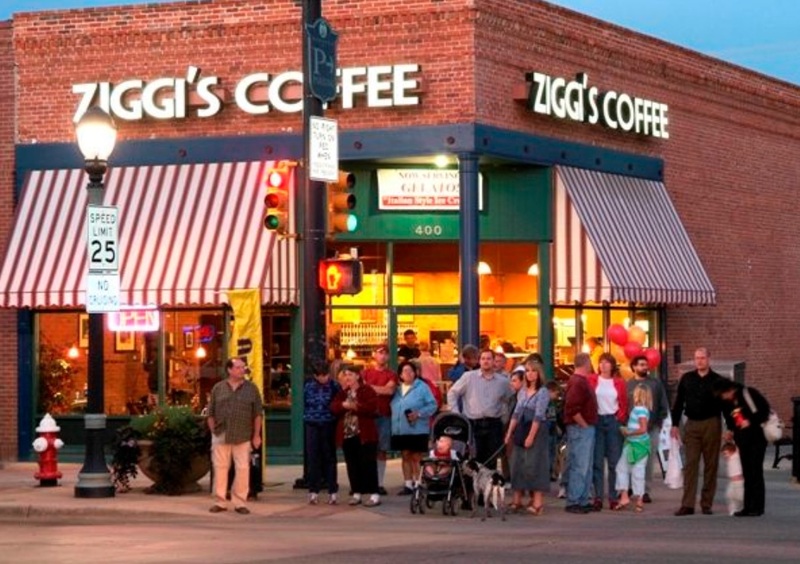 And so Ziggi’s was born on the corner of Main Street in Longmont, Co. “It was scrappy, to be sure; we used family funds, creative financing and leased equipment,” the founder recalls. But today there are seven company-owned outlets around the state, and the slow build is playing out exactly the way it was supposed to. The company has already signed up 10 franchise units in Colorado, Oklahoma and Arizona—the first is set to open in Loveland, CO, in early November—and there are many more deals in the pipeline. Given the number of competitors out there, Mr. Knudsen is clear about his target market. Then there’s the audience that cares about product sourcing (think farm-to-table), sustainability and food grading. And finally, there’s the community angle, a focus on being a good neighbor. Fruit smoothies and food treats (breakfast burritos, Bobo’s oat bars). Each offering is meticulously sourced, prepared and produced, and the company is rigorous in corporate citizenship, with fund-raisers, discount for teachers, and so on. As each new Ziggi’s rolled out, the managers were given real power—in effect, to function as independent franchisees. Thanks to the due diligence, trust and collaboration, the company now has detailed processes for every aspect of each franchise operation. For The Café category, it’s $194,000 to $521,000. The costs, which are exhaustively laid out in the franchise agreement, cover everything from the initial franchise fee and engineering to the equipment, furnishings and uniforms. Ziggi’s has partnered with Benetrends to provide access to financing. 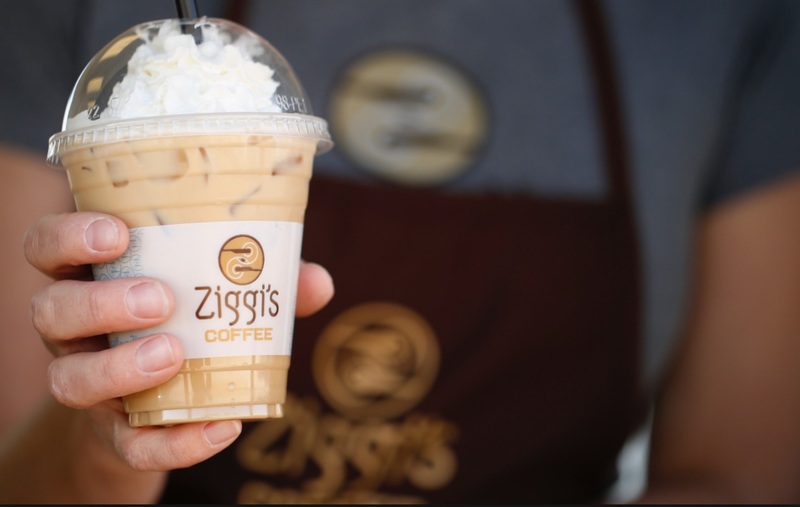 For its part, Ziggi’s (which is working with award-winning and sustainable coffee roaster Coda Coffee Co. on the franchise rollout) is deeply involved in each new franchise. Mr. Knudsen himself works on the location and product development, and the company provides training (including hands-on coffee training at headquarters for 10-14 days), marketing support, and even classroom instruction that covers critical business tasks like payroll, balance sheets, sales and money management, staffing and more. Looking ahead, Mr. Knudsen is both hopeful and careful. “We project 150-200 franchises in 10 years, but I’ll be happy with half that or double that, as long as they’re done right and a good fit for our franchise family,” he notes. Most success stories need that blend of optimism and caution, and that’s exactly why, in the near future, there will likely be a Ziggi’s Coffee near you! Get the latest news on Ziggi’s – new launches, new products, meet the franchisees – click here.